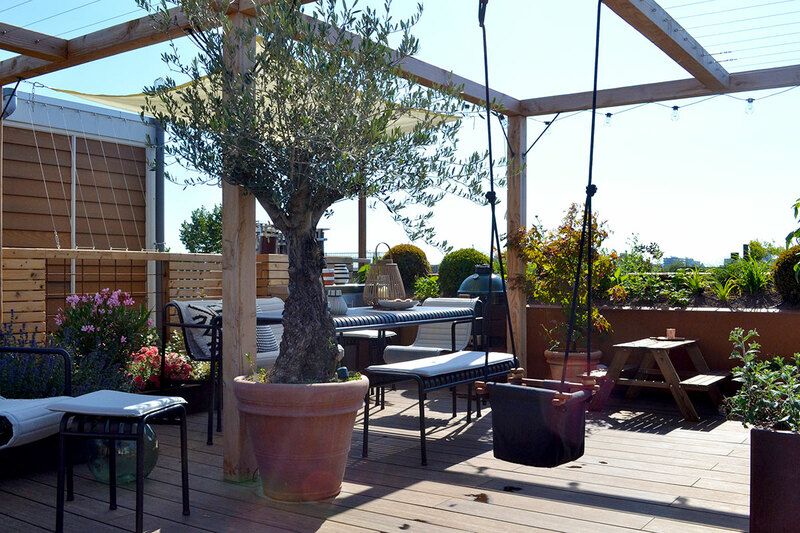 Products: Bamboo floor parts and sofa, Modiwood fence, corten steel planters, Douglas pergola and lighting. 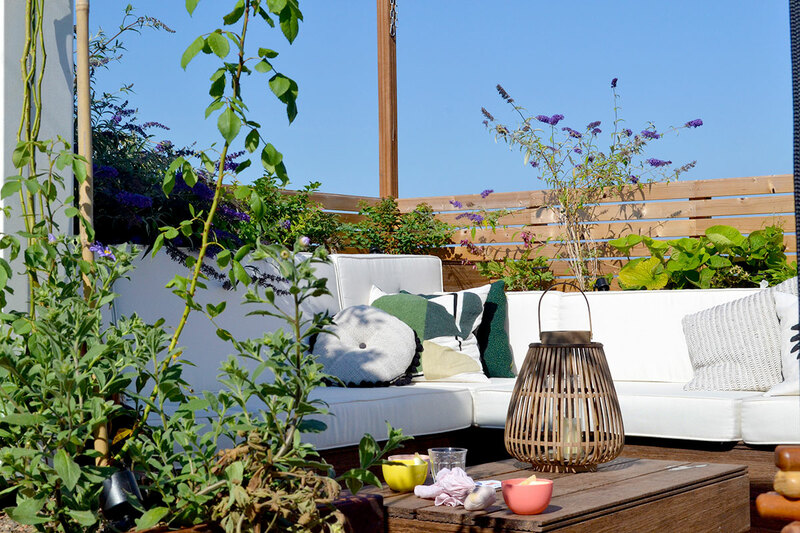 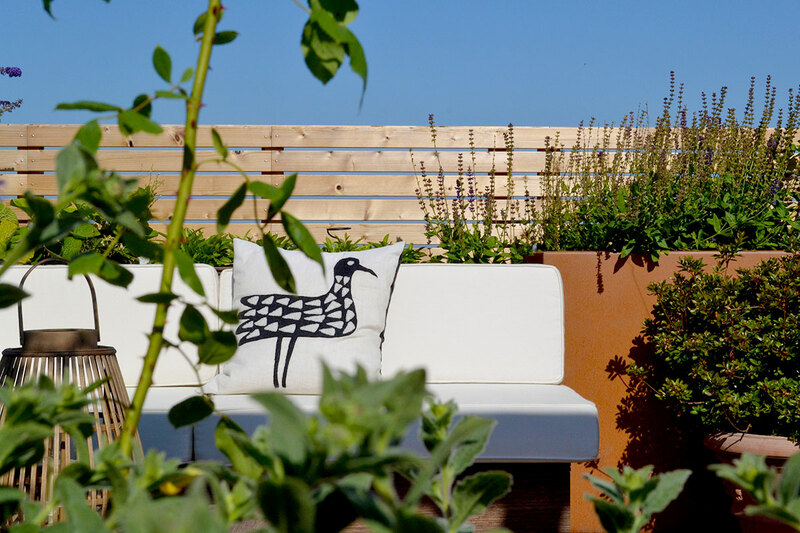 Refurnish the existing roof terrace as an attractive and child friendly space to spend your whole day on. 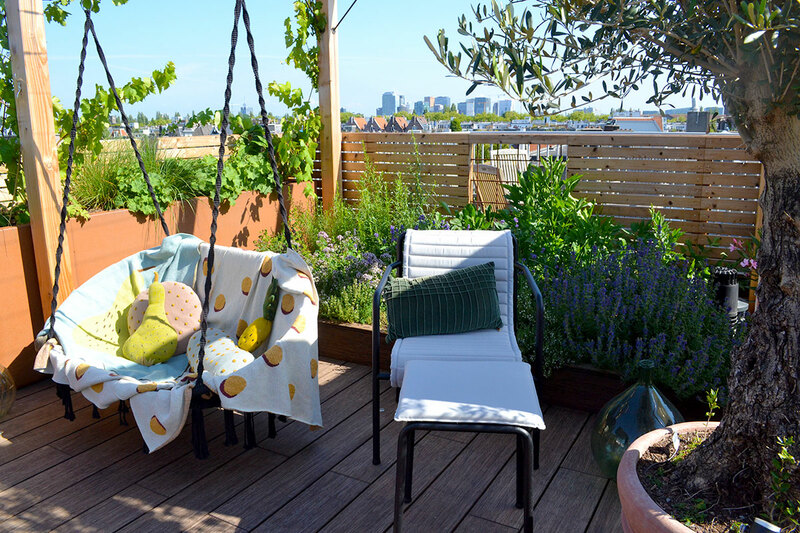 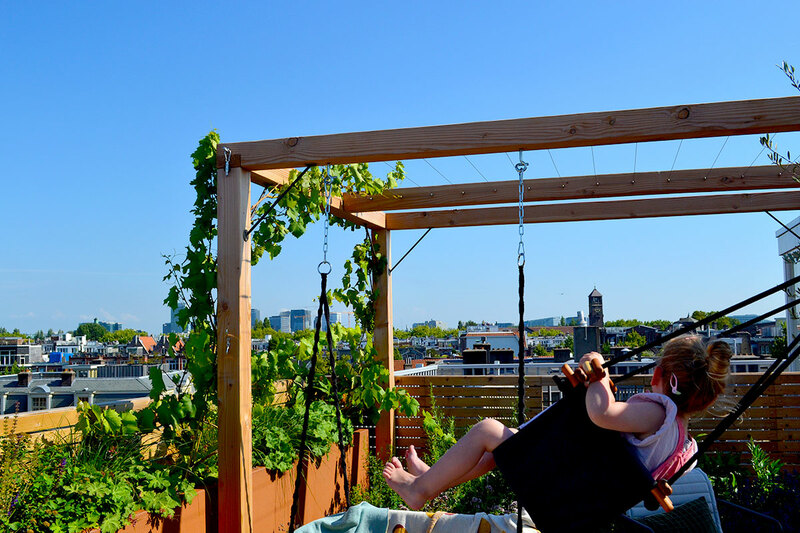 On this cozy roof terrace we’ve made a lounge area and across from that a child area with a hanging bench surrounded by green. 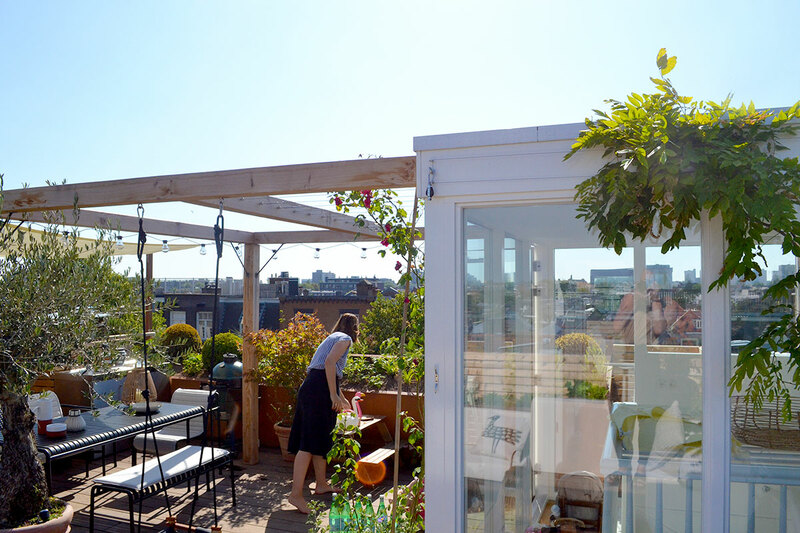 On the other side is a dining area complete with kitchen to catch the last sun rays. 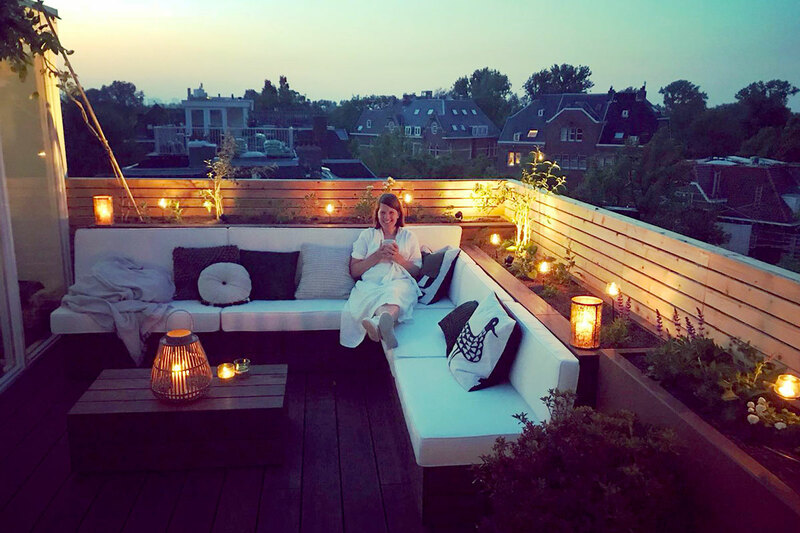 With lighting incorporated in the entire terrace this roof is a great place to hang out from dawn till dusk. 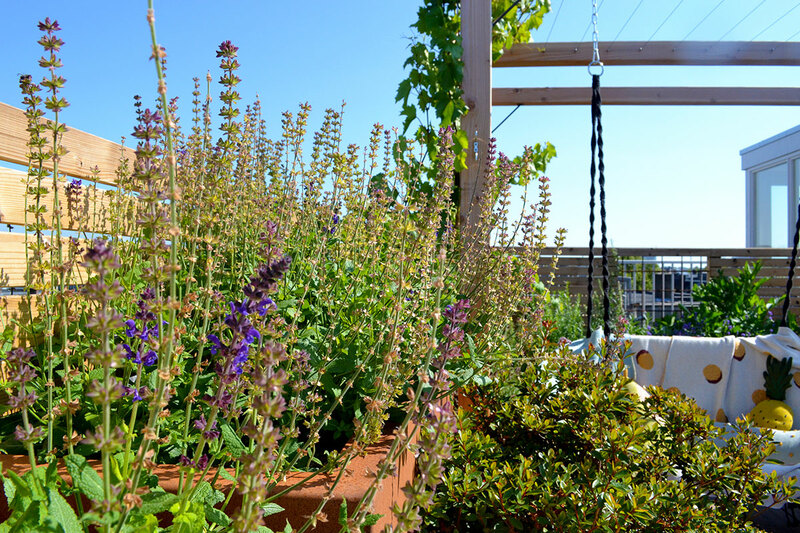 The pergola with creepers gives the place a nice intimate atmosphere.